Excellent website with a very good level of information. Considering this website is free, it provides more learning at a higher quality. Regards. I recently started using the interactive VBA tutorial and could not be happier. In the past, I've tackled VBA in the hopes of mastering it, without much much success. The lack of clear information from different sources wasn't sufficient. After stumbling on this gem, learning is not only progressing at a steady pace, but even became enjoyable. Thank you for this. Slightly confussing with the starting instructions. I was able to take the starting course and finshed all 15 assignment. Only to find I recieved not credit for haven done so. I put in an hour to get through the 15 and now must to it again to get credit. I suggest to only allow two or three question and then ask the sudent to login. Subject matter is very well done 5 star for that, but 3 starts for start-out instrutions. This is a good start if you are new. 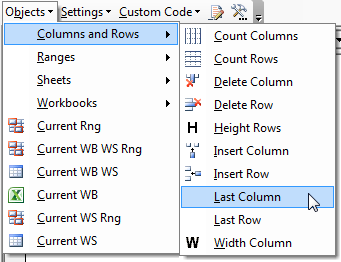 I wish it saved your progress for the Excel section like it does for the VBA section, but other than that its good. Very helpful. I couldn't get the path of workbooks/whorkseets/range to work. I kept getting "subscript out of range" message. I didn't know what to put in but the names of my off workbook.